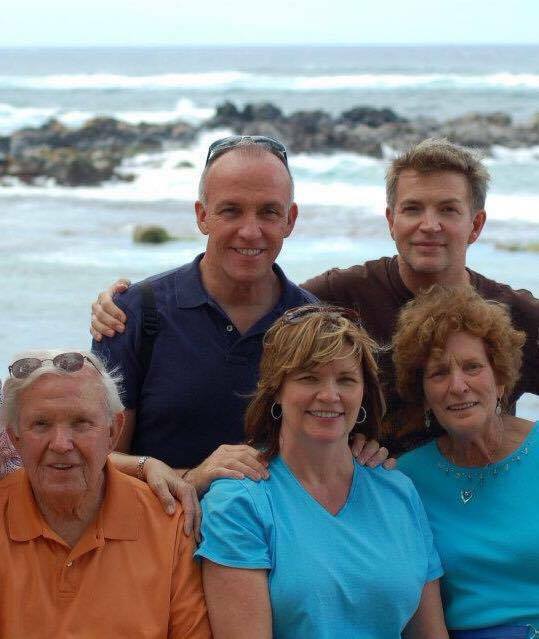 I’m Eddie Mannis, and I’ve been fortunate to call Knoxville my home for my entire life. This is a city I love and believe in, and one that I think can be even better in the future than it already is today. It’s my passion to make this city the best it can possibly be. That is what made me decide to run for mayor. In today’s world, there is too much that divides us. I want to bring all our neighborhoods, no matter our economic circumstances or backgrounds, to find solutions that create bright futures for all of our people. Knoxville is an extraordinary community, and by working tirelessly to break down barriers, we can create a city where success, health and progress is available to everyone. 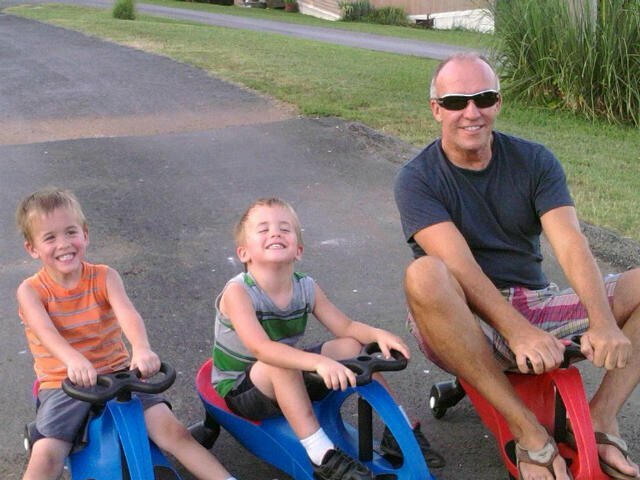 Eddie tricycle racing with two of his nephews! I have watched this city grow and change for many years, and I’ve never been so confident that we now have an amazing opportunity ahead of us. I hope you will join me in building an even brighter future for this incredible city we all call home. I grew up in a very blue collar environment in an area known as Frog Level of the Inskip community with two siblings and a very hard working Mother and Dad. They instilled in us a work ethic and an attitude that we must work hard for what we have. I’ve been working since the age of 14 beginning with a job as a janitor when I was just a kid at Central High School. I know what it’s like to put in long hours, and to struggle to make ends meet. I was a 24-year-old Maryville College student working 50 hours a week at Sanitary Laundry when I saw an ad for used dry cleaning equipment. I founded Prestige Cleaners in 1985. It was tough, and there were plenty of times when I thought I might lose everything. One of my first employees at our first location in Bearden was my mother, Betty. She would get so mad at me when we disagreed that she actually quit about five times, would walk out, drive around the block, and then come back in. The last time she quit, probably around 1989, I said, ‘Mother, we can’t keep doing this. I would rather be your son and you be my mother. So here’s what I’m going to do: you stay home and I will pay you just as if you were working.’ So my mother was paid until the day she died. One of the hardest things I had to do after she passed away was remove her from my payroll. My father, Cecil, also works for me too. He is known as the “social director” because of his outgoing personality. Now we’ve gone from three employees to more than 150, with eleven stores serving the amazing people of the Greater Knoxville area. It’s been a long hard journey, but I wouldn’t change a thing. Working one-on-one with a Prestige Cleaners, Inc. employee. I’ve learned so much about leadership from those around me – my family, the people that I work with, and those community-minded individuals who head our institutions across the city. 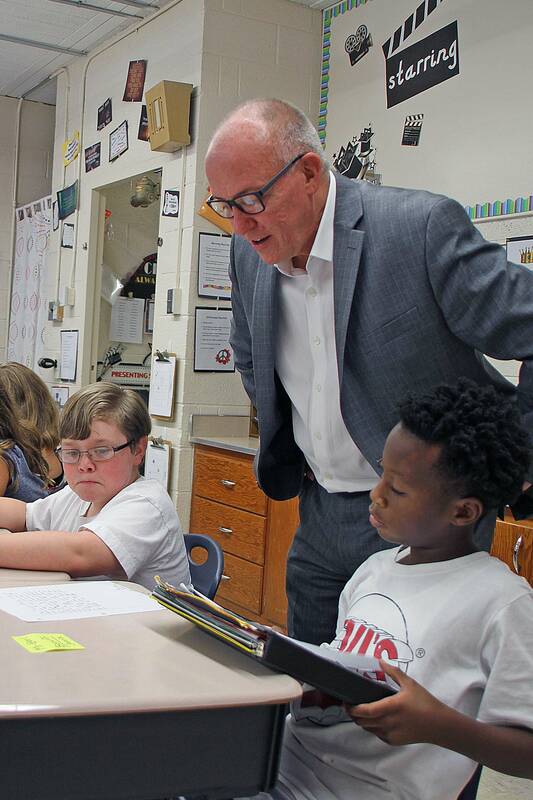 As Deputy Mayor and the city’s first Chief Operating Officer, I was able to see what it means to lead this city first hand, working with Mayor Madeline Rogero to help the people of Knoxville live better lives. I’ve been given the responsibility of leading a number of organizations in Knoxville, and it’s a privilege I don’t take lightly. As chair of McGhee Tyson Airport, I led the board through millions of dollars in improvements and also the hiring of a new airport president, the first new president in over 25 years. 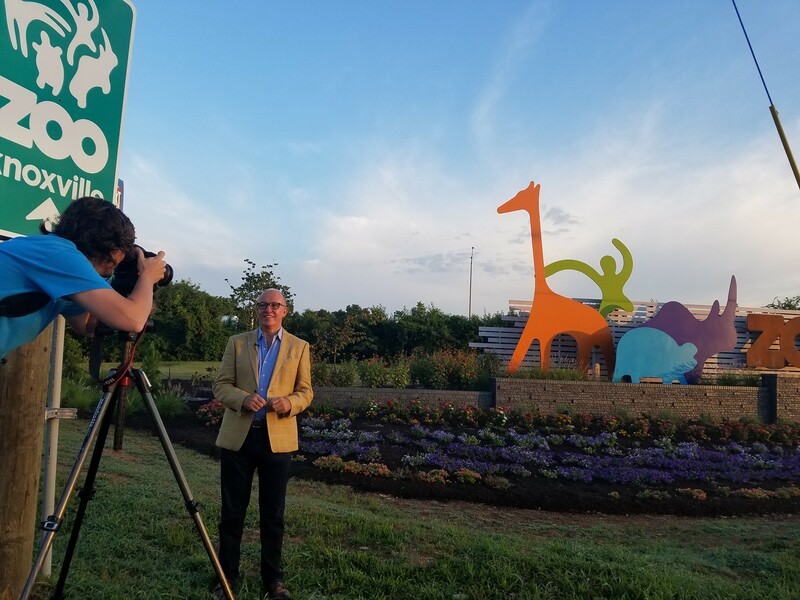 I’ve also served as Chairman at Zoo Knoxville, working with a fantastic team and leading over $35 million dollars in phase one of the recent capital campaign. As chairman, my goal was to make sure that Zoo Knoxville could compete as a destination attraction for this region. Eddie giving an interview as Chairman for Zoo Knoxville. 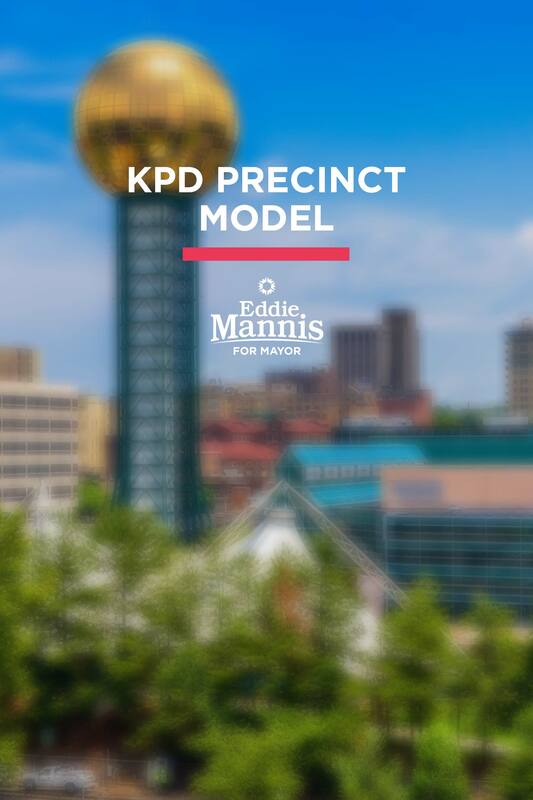 If Knoxville is to be the city we all believe it can be, it’s going to take strong leadership, and a mayor who is not afraid of making difficult decisions. Our people deserve a leader who has a strategic vision and a roadmap for growth, who will have the courage to battle for what is right, and the ability to see things through from start to finish. That is what I’m committed to doing every day as Mayor of Knoxville. As a small business owner, I’m dedicated to making sure that our city is economically vibrant. That means placing a clear focus on attracting businesses to the area, and ensuring that the companies we already have receive the attention and focus they deserve. It also means working to build a new generation of business leaders. Knoxville has long been a home to successful entrepreneurs and we have to make sure that we create a business environment that allows new leaders and their companies to thrive. Of course, great businesses need great people, and that’s one of the many reasons why we have to focus on education. We need a workforce that is able to meet the needs of all different kinds of businesses across multiple sectors, and that means focusing on developing the kind of skills necessary to adapt to a rapidly changing workplace. An economically vibrant city is fundamental to the long-term success of the Knoxville area, creating jobs and providing us with the resources necessary to handle the challenges and opportunities we face. I know what it takes to grow a business, and I’m committed to bringing that mindset to bear on behalf of this amazing city. (Left to Right) Eddie's dad, Cecil. Eddie. Eddie's sister, Jan. Eddie's brother, Robby. Eddie's mother, Betty. Knoxville has given me and my family so much, and that’s part of the reason why I am so determined to serve this city as mayor. Giving back to the communities in which I live and work has always been part of my belief system, and I know it’s something that is shared by so many people across the city. 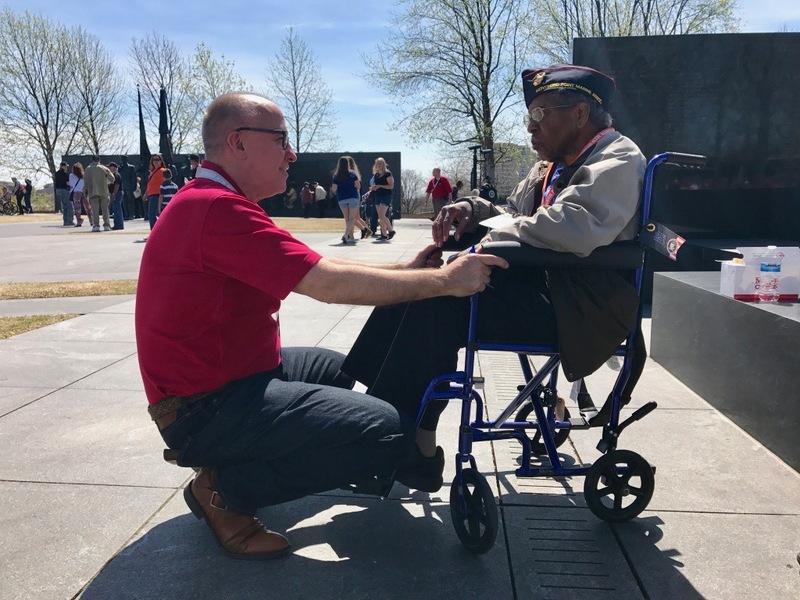 I’m proud that HonorAir Knoxville, an organization I founded more than ten years ago, has now flown more than 3500 WWII, Korean War, and Vietnam War veterans to Washington D.C. to see the memorials built to recognize their valor, sacrifice, and service. These people have given all of us so much, and to be able to positively impact their lives in such a small way is a greater privilege than any award or recognition I’ve received. Whether supporting education, or advocating for senior citizens and veterans as Founder and President of HonorAir Knoxville or distributing coats through our Coats for the Cold program with Knox Area Rescue Ministries, I believe that we all have a duty to give back when we are able to do so. For the people of Knoxville, that’s something that we all have at our core, and as a mayor I will make sure that this compassion and sense of service will continue to be a part of our vision moving forward. Knoxville means the world to me, and I know it does to you too. This city and its people deserve a bright future, and I’m committed to making sure that Knoxville is always the best it can possibly be. Please join me in helping make my vision a reality. Let’s grow Knoxville together. Eddie in Washington, DC speaking with a WWII veteran at the Air Force Memorial during lunch break.